Dubai’s blue-chip Emaar Properties rallied on Tuesday after posting estimate-beating earnings, spurring buying across the market and lifting the bourse to a near five-year high. The emirate’s largest developer posted a 10 percent increase in profit on higher domestic sales. It beat analysts’ estimates by a margin of 20 percent. 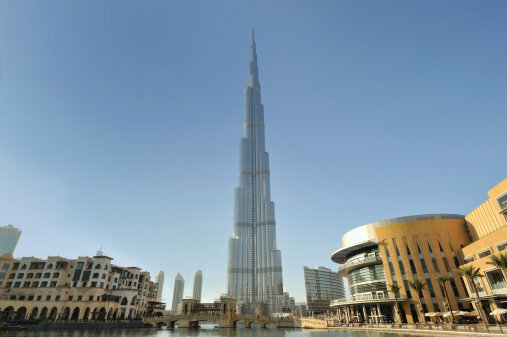 Shares in Emaar climbed 2.9 percent, extending their 2013 gains to 57.3 percent. “Valuations have filled up in the UAE over the last two to three quarters and for the value to be justified, the fundamentals need to have legs – that’s what Emaar’s strong numbers provided,” Amer Khan, fund manager at Shuaa Asset Management, said. Dubai’s index rose 2 percent to its highest close since November 2008, recovering ground lost by profit-taking in the last few sessions. Emaar is a broader gauge for Dubai’s economy that relies heavily on the real estate and tourism sector. Strong growth from the firm adds to certainty on the emirate’s outlook for coming quarters, Khan added. A jump in Emaar’s retail revenues from Dubai Mall, one of the largest and busiest shopping centres in the region, could push an upward revision of the stocks’ fair value, Loic Pelichet, assistant vice president of research at NBK Capital, said in a note. Abu Dhabi’s measure climbed 0.4 percent, up 47.6 percent in 2013. In Doha, the benchmark gained 0.3 percent, rising for the first session in last three since Thursday’s 58-month peak. The market traded for shorter hours on Tuesday after a late start to the session due to technical problems at the exchange. Buying shifted to lenders after earnings from Industries Qatar’s disappointed investors. Shares in the petrochemical firm fell 2.9 percent. Doha Bank climbed 2.6 percent. In Saudi Arabia, banks led a rally after loss-making telecommunications operator Zain Saudi reached an agreement with creditors to extend its outstanding $2.3 billion Islamic loan facility by five years. Zain shares rose 0.5 percent but also lifted the sentiment in the banks and those exposed to the firm’s debt. Al Rajhi Bank, the largest Saudi lender by market value, rose 1.7 percent, while small-caps Bank Albilad and Bank Aljazira surged 9.9 and 5.4 percent respectively. “Zain Saudi’s agreement is good news for the banking sector but small-cap banks are outperforming on speculative action,” said Mohammad Omran, a Riyadh-based independent financial analyst. The index rose 0.9 percent to 7,864 points, halting a four-session losing streak and climbing to a near 16-month high. It faces resistance at 7,944 points – the peak of April 2012. Trading volumes surged to their highest since June 17. In Egypt, the benchmark index snapped a four-session losing streak and gained 0.8 percent. In Cairo, the European Union’s foreign policy chief Catherine Ashton tried to mediate a compromise between the interim army-backed government and supporters of ousted President Mohamed Mursi, who have carried out mass sit-ins since the weekend. Ashton said on Tuesday she had met with Mursi. Investors are optimistic the government will push ahead with its roadmap to elect a parliament within six months and spur the economy. Local Egyptians were net buyers, according to bourse data. * The index rose 2 percent to 2,565 points. * The index climbed 0.4 percent to 3,882 points. * The index gained 0.3 percent to 9,667 points. * The index advanced 0.8 percent to 5,326 points. * The index climbed 0.4 percent to 7,794 points. * The index declined 0.2 percent to 8,064 points. * The index slipped 0.6 percent to 6,673 points. * The index edged up 0.09 percent to 1,192 points.